Valtteri Bottas says that he saw his poor start at the Chinese Grand Prix on Sunday coming. The Finn lost out to teammate Lewis Hamilton off the line, with the latter taking the lead into the first corner after getting the better start from the front row. Hamilton went on to dominate the race while Bottas followed home in second. Speaking about the opening sequence, Bottas said that he knew on the practice start on the formation lap that he would be in trouble when the lights went out. "I guess I was a bit unlucky with that, and for sure we'll have a look at if there's anything we can do in the future when we're in a similar position," he said. "Now if I could do it again, on the formation lap I would just light up the rear tyres and make black lines on it. "I thought it was going to be fine because I'd never had that issue before, so on the formation lap I made the normal start practice. Then I saw it could be an issue. "I thought maybe with warm tyres it's going to be OK, but it wasn't. That's life. It's not very often I get really bad starts. That's one of them and it happens." Bottas stated that he got wheelspin from the white line that was painted in front of his grid box, which resulted in Hamilton flying past and into the lead. "I got wheelspin from the white line in front of my box," he said. "A couple of metres before that it was fine, then the big kick of the wheelspin and I lost a few metres of distance to Turn 1. "I think it's only at a few tracks that it's such a thick white line. And maybe the paint changes also from one track to another. "It's more obvious on the pole position if it's there. It definitely made an effect and there's less effect for the cars behind, because when you're on pole that's when you need the most of the traction." 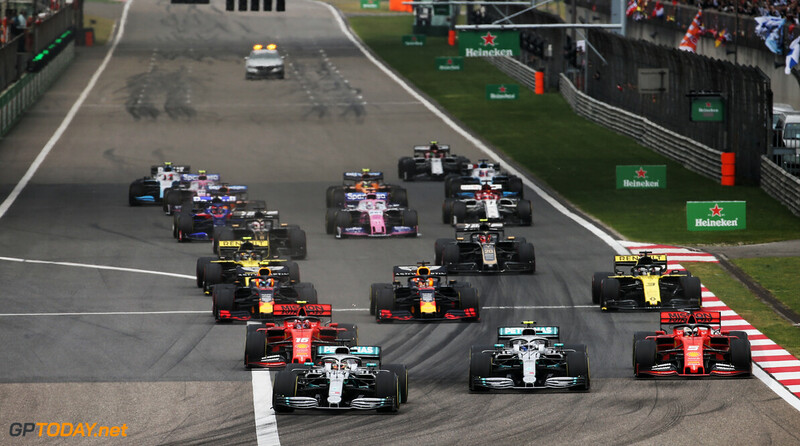 Bottas sits second in the standings, six points behind Hamilton, while Mercedes has dropped just two points in the opening three races of the year, missing out on the fastest lap in Bahrain and China. I could just imagine the outcry by some. If Lewis had ever tried to use an excuse like that, to why he lost the lead to Hamilton at the start.